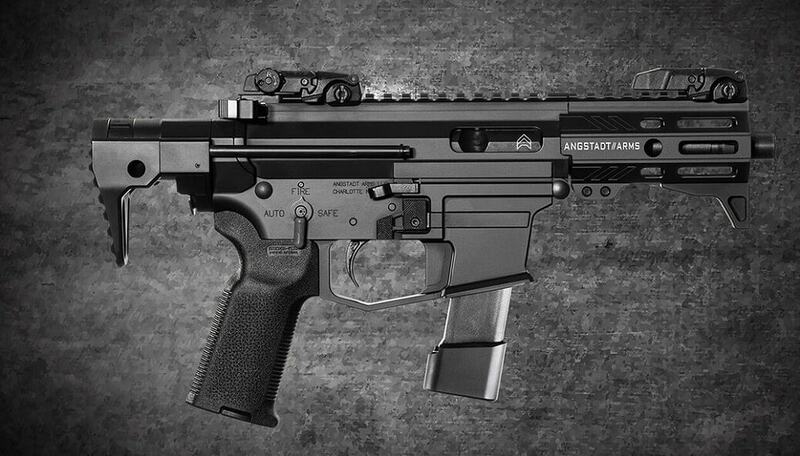 North Carolina-based Angstadt Arms this week released the details of the gun the delivered to compete in the U.S. Army Sub Compact Weapon Program. Aiming to meet those guidelines, the SCW-9 is some 14.7-inches long overall when its telescoping buttstock is collapsed. Featuring a 4-inch barrel with a three-lug adapter for suppressors, the 9mm sub gun takes double stack Glock pattern mags and weighs in at 4-pounds flat. Select-fire, it has fully ambidextrous controls and can fire at 1,100 rounds per minute on full auto. Importantly, the gun uses a shortened multi-caliber AR-15 stock system. 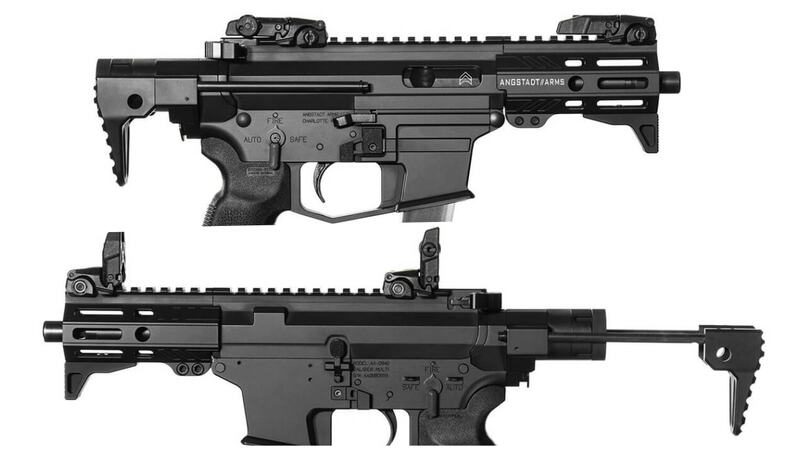 Besides the current 9mm platform, Angstadt says they have tested the shortened stock system in both 5.56mm and .300 AAC and are working on a pistol brace version for the U.S. commercial market. The Army currently uses HK MP5s for personal security detachments for high-ranking officers but is looking to upgrade. In line with that, the new SCW program originally involved more than a dozen companies to include Beretta, Brügger & Thomet, Colt, CMMG, CZ, HK, Noveske, PTR, Sig Sauer and Zenith Firearms.